Another milestone toward the establishment of the First Independent Church of Scientology (FICS) has occurred. 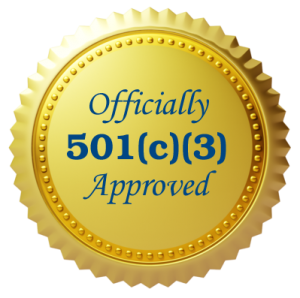 It has been granted tax exemption under Internal Revenue Code Section 501(c)(3). To remind our readers, Religious Liberty League (RLL) fashions itself to be the Department 20 for the “Religion” of Scientology. That is, RLL’s main mission is to protect the free practice of the religion independently of the church of Scientology – at least until that entity is reformed and brought into alignment with the religion. The establishment of FICS is a project of RLL. The entities are separate and autonomous, and are intended to remain that way. RLL was previously granted tax-exempt status, as we then reported on this blog. Excellent! Well done, Merrell and team. Huh! That “Anonymous” comment was from me. That’s what you get for posting from a smartphone. Duh! Aha. But your name is right below “Anonymous.” Anyway, on behalf of the team, thanks for the validation. Better late than never! First of all congrats on achieving this major milestone and secondly Merry Xmas and a Happy New Year to you and everybody. Great news! Well done, Merrell and your team. A giant stride forward for the preservation and practice of Scientology, and LRH’s good name. I hope the overpaid RTC lawyers don’t somehow persuade the US government to rescind the religious recognition. I have little faith in the “justice” system.